The 2018 iHeartRadio Music Awards started off with a bang, so it’s only right it ended with one, too. 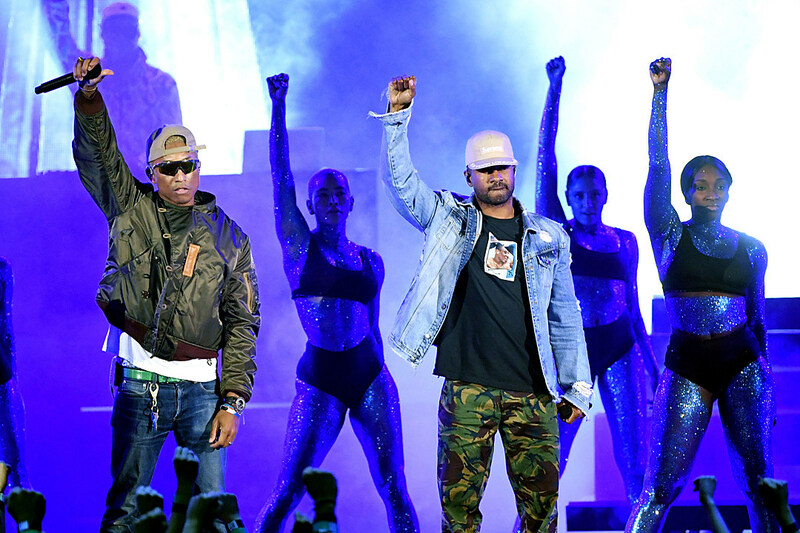 That second explosion was served up by N.E.R.D, who bookended a star-studded event that popped off with a performance from Cardi B when they delivered a live version of their hit single “Lemon” to close out the awards show on Sunday night (March 11). The N.E.R.D performance was all types of extra, in the best way possible. Purplish blue streams of light shined down on The Forum stage in Los Angeles as Pharrell and Shay Hayley maneuvered around the area with a ton of dancers. They raised their fists in unison in the closing moments of the performance. In what was quite possibly the dopest moment of the evening, Chance The Rapper won the Innovator of the Year at the awards show after winning a couple Grammy awards for his free Coloring Book project and donating $1 million to Chicago public schools last year. Safe to say he deserved the trophy. Salute.